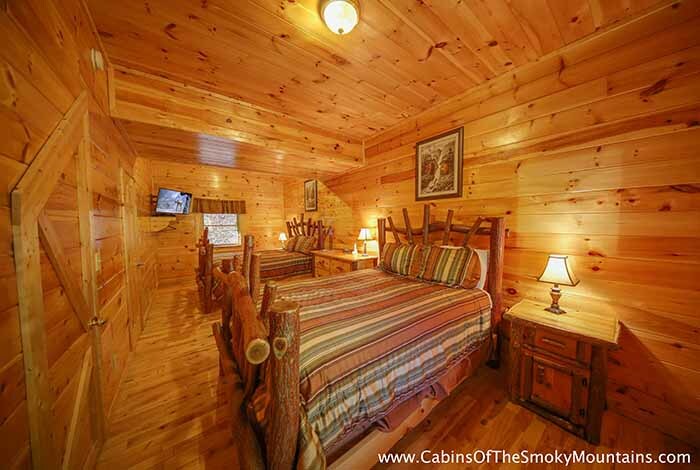 Looking for that one-of-a-kind vacation spot in Pigeon Forge? 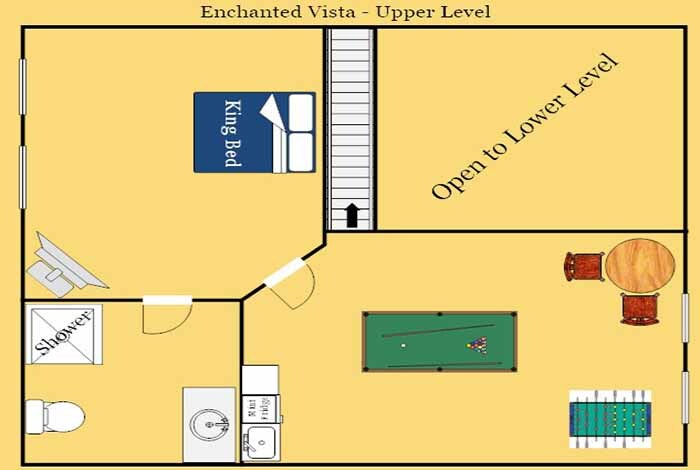 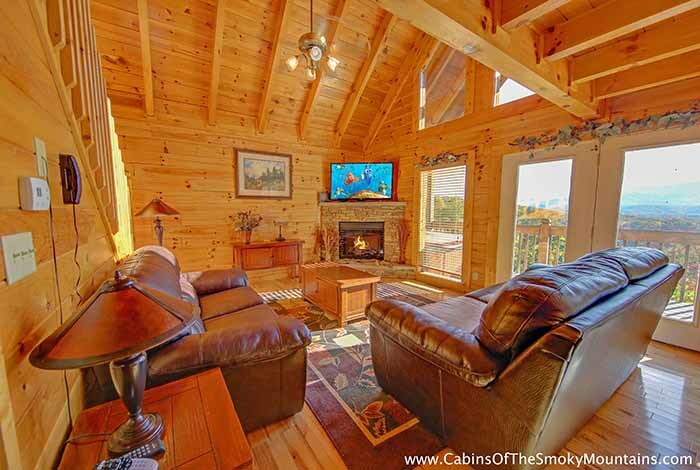 Enchanted Vista is the perfect Pigeon Forge cabin rental to add just a little more luxury to your Smoky Mountain getaway. 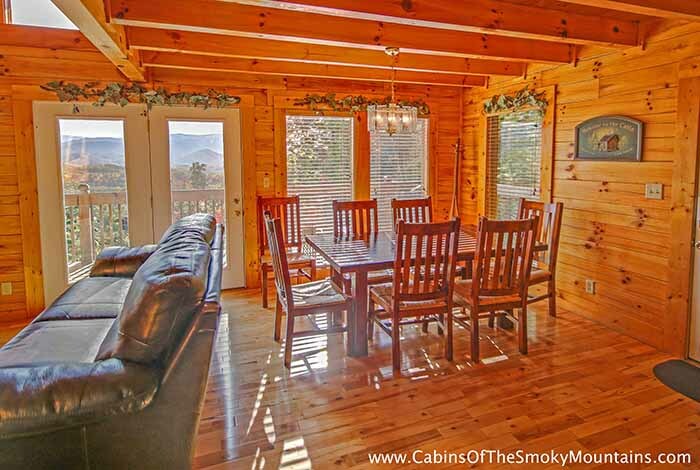 This cabin offers the best of both worlds by giving everyone that certain level of seclusion without sacrificing those breathtaking views you expect to see in the vast Great Smoky Mountains. 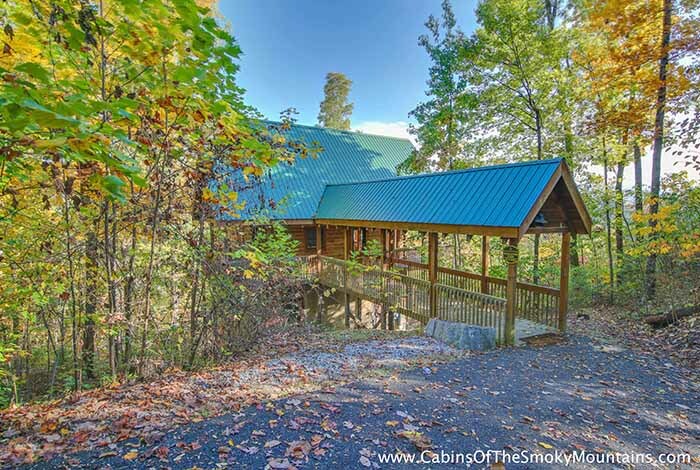 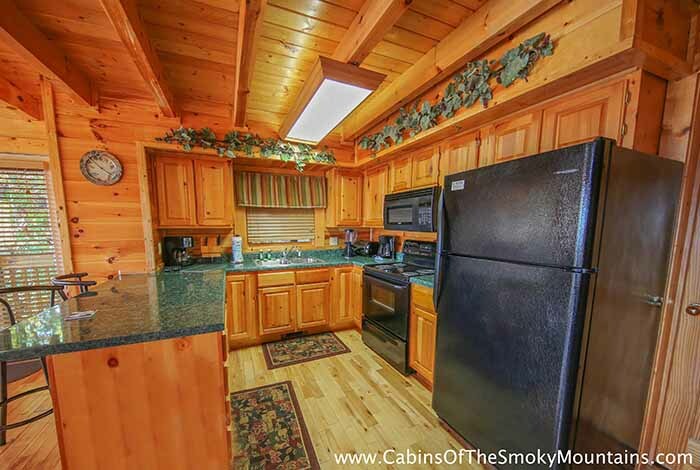 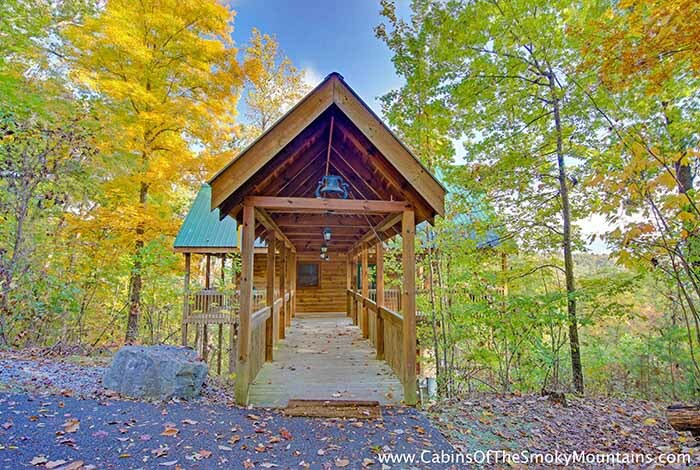 Nestled in the tranquility of the Smoky Mountains, this four bedroom luxury cabin rental allows you to escape from the hustle and bustle of everyday life. 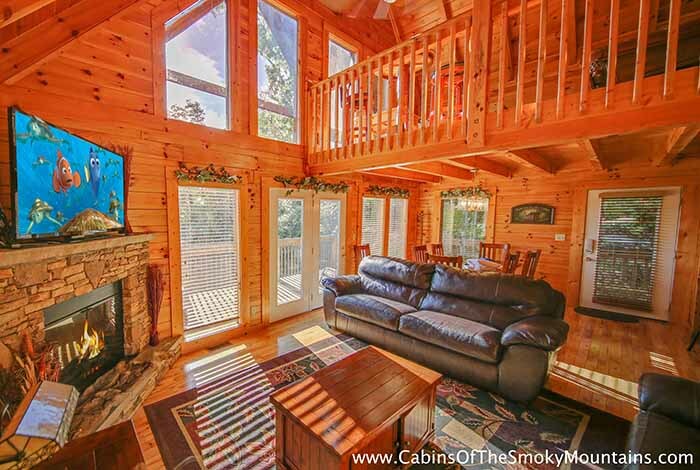 Conveniently located less than three minutes from Dollywood and Splash Country this cabin sits directly on top of Parrot Mountain. 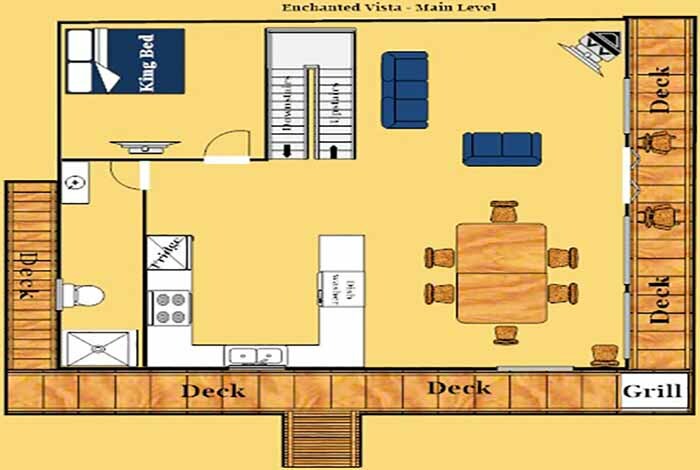 You can sit on outside on the decks and hear Parrots that sound like an exotic rain forest. 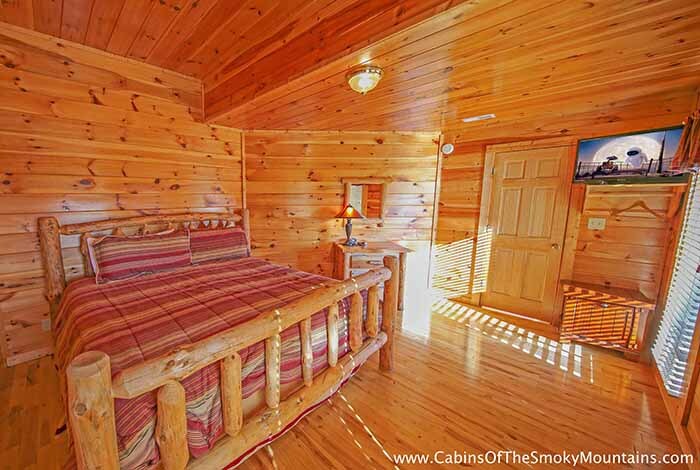 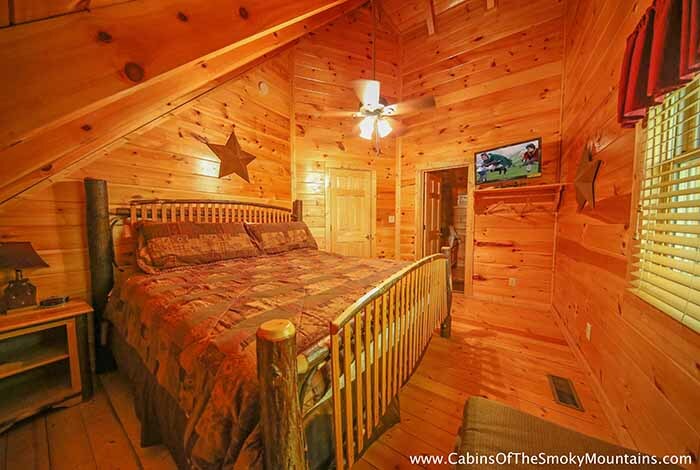 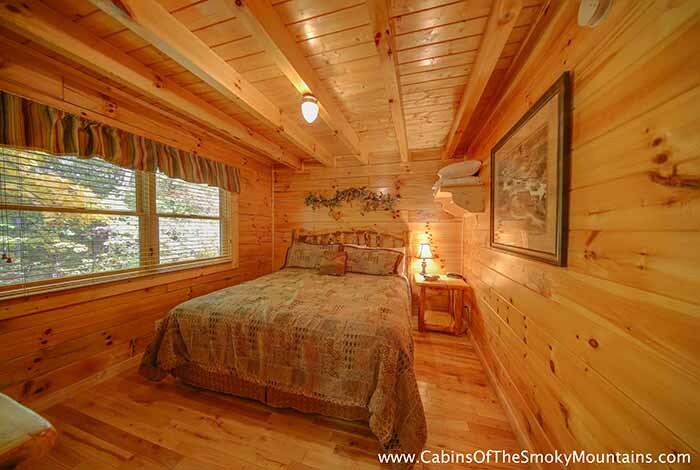 This Pigeon Forge cabin rental offers all the comforts of your home and much more such as a bubbly Hot Tub and peaceful wrap around decks. 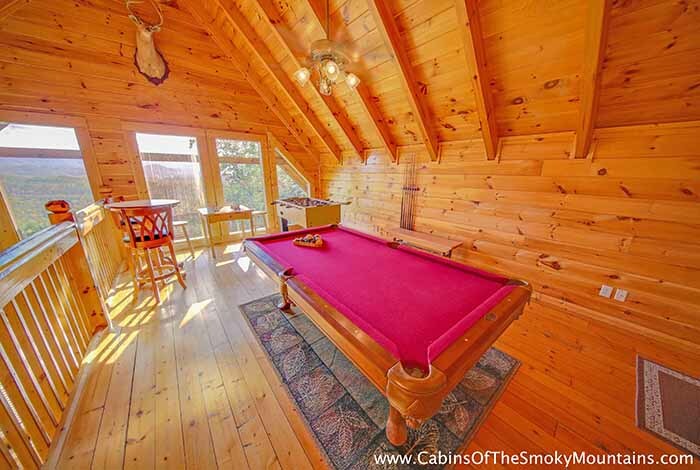 Enjoy time with family and friends in your very own game room to shoot some pool and enjoy the views. 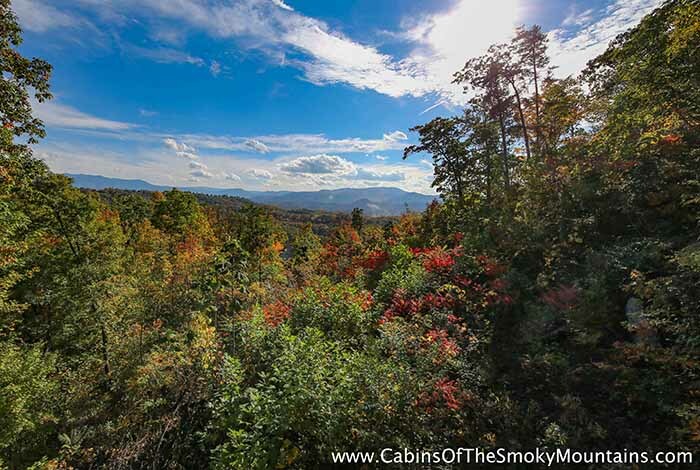 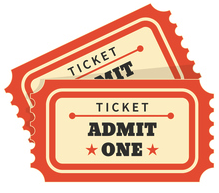 Experience a full day in the Great Smoky Mountains while; horse back riding at Cades Cove or Arcades at Wonderworks. 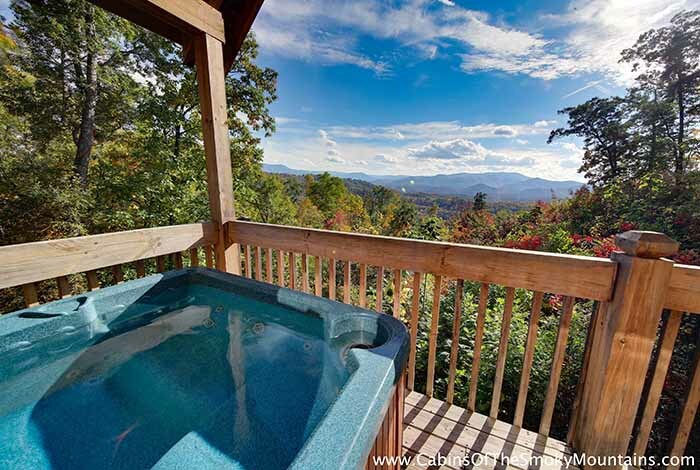 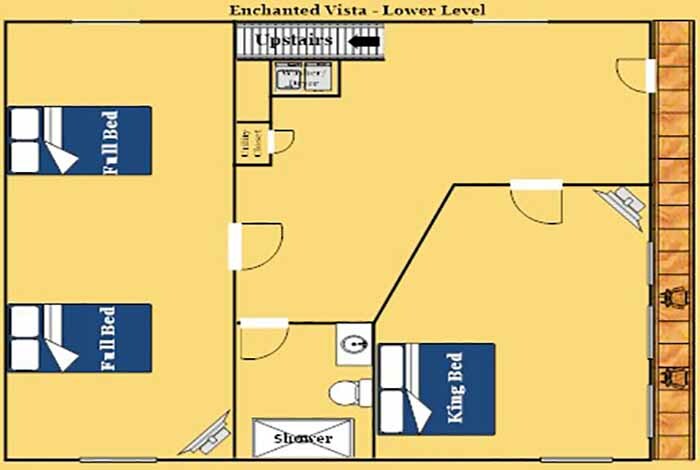 No matter your plans, Enchanted Vista is the perfect piece of luxury to make those lasting memories, and leave you wanting more of the Great Smoky Mountains you will never forget.